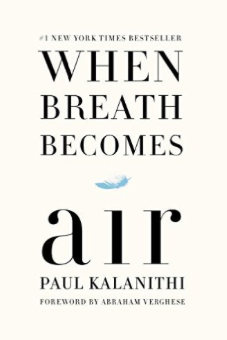 When I read this summary of When Breath Becomes Air, I wasn’t too thrilled to read this book. I don’t typically read non-fiction, but it was a May pick for one of my book clubs, and I pride myself on trying willing to give a new book a go, even if it isn’t something I’d normally pick on my own. This short memoir is sad, clearly, but it’s also a story from a man who had a beautiful perspective on life and death. I wouldn’t go so far as to say he embraced death but he accepted it and faced it with acceptance. He spent the time he had left searching for what’s meaningful and making the most of life. It really was an inspirational life-changing sort of book to read that everyone could stand to pick up. It’s not like any of us are exempt from death, it’s the one thing we all have in common. « The Best Layering Tank: On Sale at Target for $5!